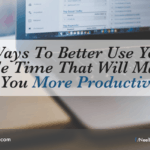 While there are many things that can be done to better use time, here are some simple things that I have found to help me be more productive. Have a morning ritual. This is my most important activity that puts me in a good frame of mind to get things done. A morning ritual can include planning our calendar and priorities for the day. This may involve identifying which things to work on and how much time we want to allocate to them. Do things in chunks. Batching activities prevents us from switching between different things, which improves our ability to focus. Examples of batching may include making phone calls in one block of time during the day, or checking and returning emails at specific times. The aim is to do similar activities together rather than at different times throughout the day. 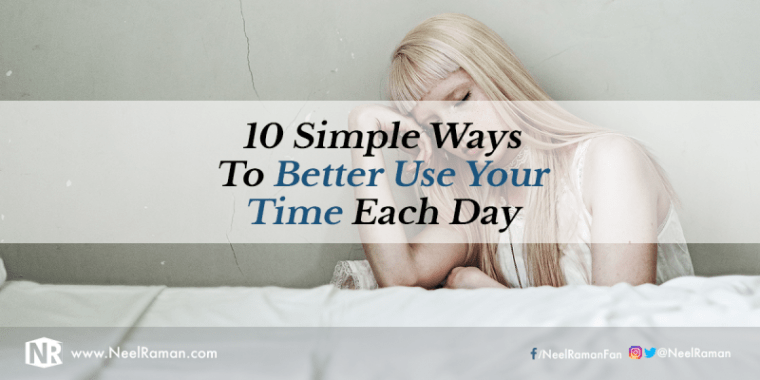 Be more intentional during the first two hours of your day. After a night’s sleep, we tend to be better suited to doing our best work when we’re rested and alert. This is why, during the first two hours of the day, when we’re most alert, we should aim to do our highest valued activities. The more we focus on making the first two hours our most productive, the faster progress we’ll make. Identify your highest priority activities. We want to be more effective because we want to make progress in our lives. We know we’re making progress when we’re doing things that are important to us. 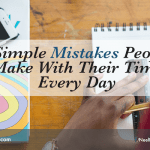 A simple way to do this is to list down, in order of priority, three to five things we want to get done each day and work our way through that list. Use a work timer. It’s not intelligent or practical to continuously work without having breaks. We need to give our brain a rest from having to concentrate for long periods of time. 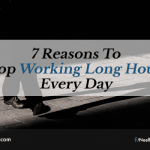 It’s recommended to have at least a short break every hour and a longer break after four hours of working. Eliminate as many distractions as possible. Distractions can be in the form of people, materials or technology. With people, we need to be clear when we’re available and for how long. With materials, it can be our working environment or the tools we use. The better we set up the conditions around us, the more productive we’ll be. 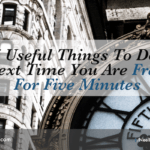 We can also use different tools to limit how much time we spend on the internet or on our devices. Say “no” to new requests. A common thing that affects our productivity is when something unplanned happens. While things can happen unexpectedly, most times, we have a choice in being able to say either “yes” or “no” to a new request. Something that may appear to be urgent in the moment, may not necessarily be important in the long run, so we have to be mindful about what we’re saying “yes” to. Delegate or outsource, where practical. We don’t always have to do all things we’d like to get done ourselves. Help is always available if we’re willing to look for different options. This is why knowing what we’re good at and what our priorities are is very important. Our aim should always be to remove the things that are low-valued activities and focus as much as we can on our highest-valued activities. Identify the gaps in your day where you can do concurrent activities. We all have down time during our day such as travelling time, waiting for an appointment, watching television or preparing meals. That time can be used more intelligently by combining activities that will improve our lives in some way. 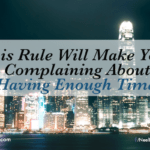 Whenever possible, we should aim to make the most out of those “down time” periods. Do less things. The best way to make progress faster is to focus on fewer things but do them with excellence. It’s better to have one thing completed than to have three things partially done. Those who are most effective have made it a habit to focus on one thing at a time. A person’s level of success and progress in life often comes down to how they are using their time every waking moment. The more intelligently we use our time, the faster progress we’ll make towards what we want and where we want to be. If we want to do more meaningful things and make a bigger difference in our lives and the lives of those close to us, then we have to be more intelligent about how we use our time. Action Step: Review how much progress you have made over the last two weeks towards what you want. Start including the ideas suggested above to better use your time daily, even if you think you’ve made good progress over the past couple of weeks. Notice how much of a difference it makes when you become more intentional about how you use your time. 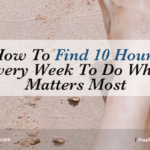 Question: What are other things we can do to better use our time daily?